Heritage Travelware, Ltd. Is a privately held company headquartered in the Northern Suburbs of Chicago, Illinois. Heritage has been in the business case and travel goods industry since 1983 and prides itself on having the right mix of skillful employees, designers, and factories to be able to develop product to satisfy a wide range of customers and their needs. Over the years, Heritage has expanded its line of products to include attachés, portfolios, computer cases, women’s totes, both casual and professional backpacks, messenger bags, duffels, business and travel accessories, men’s wallets, under seaters, and our largest growing product category, soft and hard-side luggage. In order to ensure quality products and continuity in color and finish, we have agents in a number of our factories that conduct inspections and work directly with our factories in purchasing raw materials. Working with this wide range of factories allows us to offer a full range of products that include over 1,100 active SKU’s in a variety of different materials. You can find our versatile products branded with our private label of Heritage and EXEL. You can also find our product branded with our exclusive licenses with Kenneth Cole Productions Inc., Ben Sherman, Franklin Covey, and Aimee Kestenberg. Additional information on these brands can be found in the brand section. Due to our wide range of products and materials, Heritage is able to serve customers in almost every channel of distribution. Another way that we are able to distinguish products among customers is our ability to create exclusive and unique products at a customer’s request. Heritage is proud to serve the customers, who are the leaders in their channel of distribution. We take great pride in our products and their workmanship, ensuring that all of our products are handcrafted using the finest materials available. 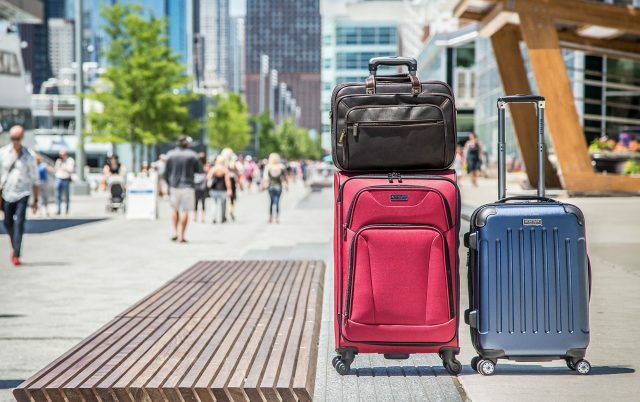 It will always be Heritage’s mission to help all of our customers build our travel goods and luggage business by providing a variety of fashion forward trendy products and a level of customer service and satisfaction that warrants repeat business.